The Fusion Landscape Professional program was awarded the Green Cities Award at Credit Valley Conservation’s Friends of the Credit Conservation Awards on June 14, 2018. (L-R): Karen Ras, Councilor, Ward 2, Mississauga; Cassandra Wiesner, Landscape Ontario; Gino Piscelli, Region of Peel; Ron Starr, Councilor, Ward 6, Mississauga. Fusion Landscaping combines the art and science of horticulture with the science of hydrology to design, build/install and maintain water-efficient landscapes. Not only do Fusion Landscapes optimize the use of rainwater, they are also becoming very popular among home and property owners who are conscious about the environment and who are interested in saving on future operating and maintenance costs. The Fusion Landscape Professional (FLP) training and certification program available to qualifying Landscape Ontario member firms, was developed by Landscape Ontario in partnership with the Region of Peel and the Regional Municipality of York in order to provide landscape horticulture professionals with the tools and knowledge to provide Fusion landscape services to clients. To date, training programs held in November 2017 and March 2018 have resulted in 26 professionals that have successfully completed the certification program and have earned the designation of FLP certified. In order to obtain their FLP certified status, selected participants received the Fusion Landscape Professional Study Manual, attended a two-day training seminar and successfully completed the written exam. For a full list of FLP certified companies, visit HortTrades.com/fusion-contractors. The FLP program has also received recognition from outside the landscape and horticulture industry. 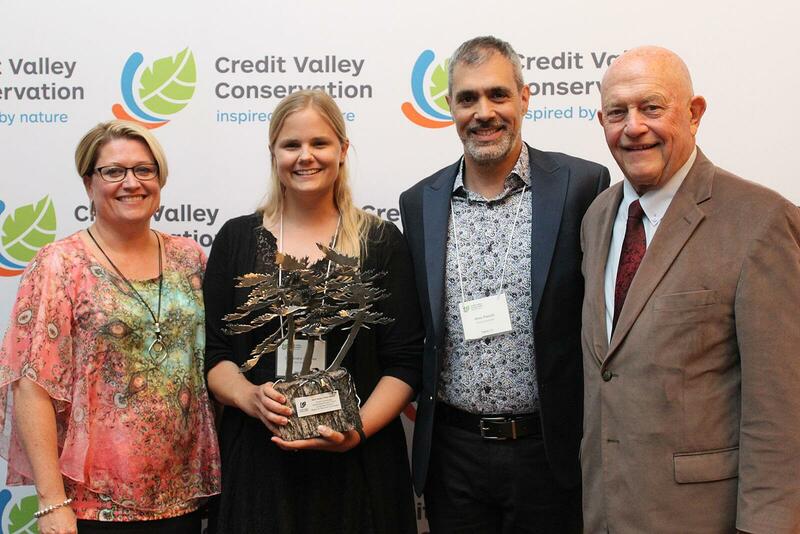 On June 14, 2018, the FLP program was awarded the Green Cities Award at Credit Valley Conservation’s Friends of the Credit Conservation Awards Ceremony. The Green Cities Award recognizes organizations and corporations who implement leading edge green infrastructure in new developments and existing urban areas, making a significant and positive impact on the health of the Credit River Watershed. After a very successful launch, the FLP program is now in its second year of delivery. The next two training dates have been set for November 2018 and February 2019. LO members can apply for either of the upcoming training seminars at HortTrades.com/fusion. Applications for the November training close on Sept. 21. Through its ability to design, install and maintain green infrastructure and Fusion Landscapes, the landscape profession is a key component to battle the effects of climate change. Be a part of that solution and apply now to become a Fusion Landscape Professional. Please note, at this time, the Fusion Landscape Professional program is only available to design, construction and maintenance contractors who service the Region of Peel and/or York Region. The FLP program is currently offered at no cost to selected participants who meet the participant criteria. Participation criteria can be found at HortTrades.com/fusion or by contacting Cassandra Wiesner, Environmental Program Coordinator, Landscape Ontario at cassandraw@landscapeontario.com or 1-800-265-5656, ext. 2397.